Arroyo Grande Lions donated $2,000 to Cuesta College for 2017-18 scholarships. Arroyo Grande Lions handed out $6,000 in student scholarships this year. Lions' business sponsors who were among those making it possible were Heidi Wilson of Coast Motors and Lance & June Gonzalez of The Sport Dugout of Arroyo Grande. The Arroyo Grande Lions Club recently supported the Arroyo Grande Police Department's K-9 law enforcement effort with a $5,000 donation. The latest dog, Tig, is shown with his partner, Officer Jeff Corral. 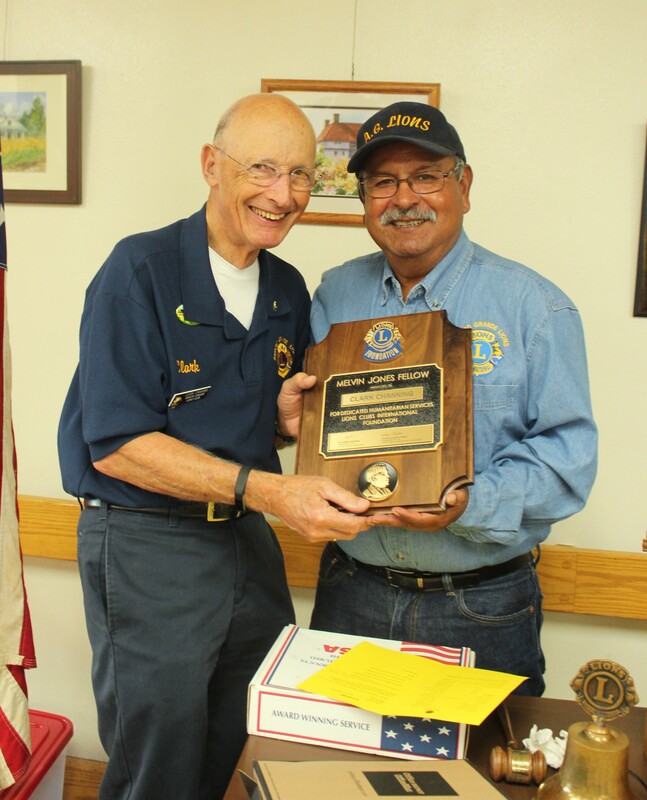 Arroyo Grande Lion Clark Channing is our latest Melvin Jones Fellowship honoree. 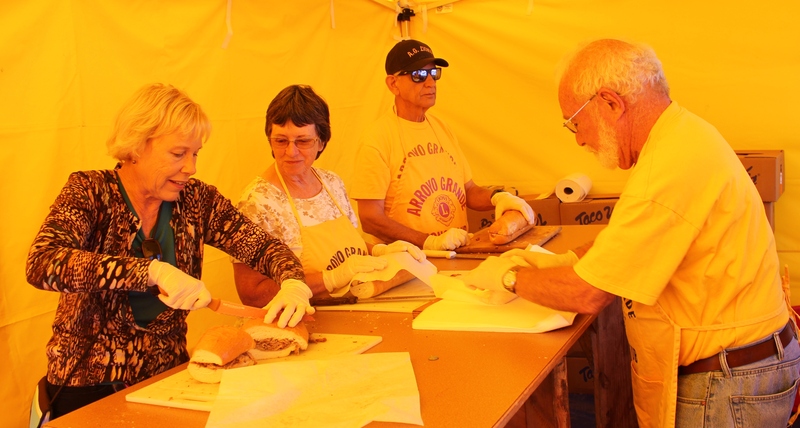 The club donates at least $1,000 to Lions Club International Foundation (LCIF) to assist with disasters world wide to honor give its members the club's highest honor.